In this epic adventure thriller, a family struggles to survive in a world where all technology – computers, planes, cars, phones, lights – has suddenly and mysteriously blacked out. What’s left is a post-apocalyptic landscape inhabited by ruthless paramilitary groups and heroic freedom fighters. Charlie Matheson, a fiercely determined young woman who lost family members in the blackout’s tragic aftermath, manages to form a new family and find a new purpose amidst the chaos. 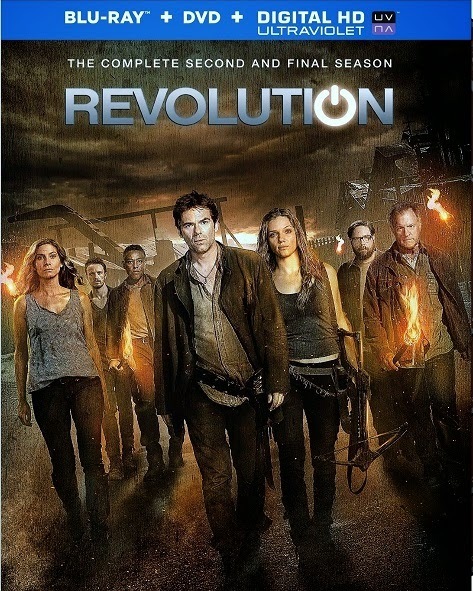 Season Two of "Revolution" follows Charlie and a rogue band of survivors—including her secretive mother Rachel and formerly estranged uncle Miles, an ex-marine and militia leader—as they continue their heroic mission to return the power to the people and ultimately reestablish the United States of America. Includes All 22 Episodes Plus Over 90 minutes of Special Features! BURBANK, CA (July 8, 2014) – Fans of the post-apocalyptic action drama Revolution will be “powered up” to own the sophomore season of this compelling series, when Warner Bros. Home Entertainment (WBHE) releases Revolution: The Complete Second Season on DVD, Blu-ray Combo Pack and Digital HD UltraViolet on August 19, 2014. In its second season, Revolution ranked as the #1 returning drama on NBC with Men 18-49 and averaged more than 7.2 million Weekly Viewers. 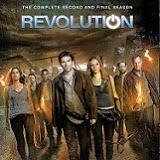 Revolution: The Complete Second Season includes all 22 action-packed episodes from Season Two, and is available to own for $59.98 / $69.97 SRP. The release also contains multiple special features including two featurettes, a gag reel and deleted scenes. 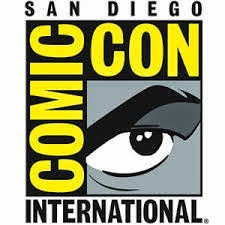 Created by Eric Kripke (Supernatural), and executive produced by J.J. Abrams (Lost, Star Trek, Alias), Bryan Burk (Star Trek, Fringe, Lost), Jon Favreau (Iron Man films), Rockne S. O’Bannon (Cult, Farscape), and Kripke, Revolution stars Billy Burke (The Twilight Saga), Tracy Spiridakos (Being Human), Giancarlo Esposito (Breaking Bad), Zak Orth (Nurse Jackie), David Lyons (Safe Haven), JD Pardo (90210), Stephen Collins (Falling Skies) and Elizabeth Mitchell (Lost). Revolution is produced by Bonanza Productions, Inc. in association with Bad Robot Productions, Kripke Enterprises and Warner Bros. Television.